Most of the time (day or night, no matter what I’m doing) I have ideas or experiences related to music, sound and listening. They fly in and fly out, usually ending up in one of my notebooks or a published essay, a sound work, a lecture or a book. For years I’ve felt that a blog is the best interim site because it’s a more public way of sharing them in a raw state, with possibilities for combined media. Why did it take me so long to get started? Being busy, I guess, but also getting to the point of thinking that publishing, in the broadest sense, was back where it was for people like me in the 1970s, ie. if you don’t do it yourself in your own way then most opportunities are very limited, ineffective and nostalgic. So this is a blog about listening sensations in their various forms, with a focus on current projects, notably my current 2-volume book-in-progress – Into the Maelstrom – which is about improvised music and the notion of freedom. In that sense it’s a forum for working out thoughts, bringing them into the light before they become the immovable object of a book or some other final device. But the main point for me is that all of my activities are interrelated. ‘Official’ media have a pull toward keeping apart what they perceive as incompatibilities, whereas I believe strongly in throwing together serious, abject, comic, stupid, mysterious, trivial, scholarly, disturbing, and what Warren ‘Baby’ Dodds described as spooky. All of that. Came across my Oceans of Sound CD’s after many years – still sounding great, especially “Crooning on Venus” – provoked me into finding out what you are up to today. I thoroughly enjoyed your book “Exotica,” and am looking forward to checking out your blog. Thanks, Ben. It’s nice to know that non-fiction (or allegedly non-fiction) can turn into music. I’ve been reading “Ocean of Sound” over the past few weeks. Woke from a dream this morning that instantly made me think of the book. In the dream I was unable to sleep. Pacing the hallway and listening to my iPod. Went back to my bed, laid down and realized that, while I had taken the earbuds out of my ears, the iPod was still playing, lying next to me on the nightstand. Went to turn it off, but then realized that at that volume, and with that tinny, slightly distant sound, it was the perfect background sound to fall asleep to…… even though what was playing was Public Enemy’s “Brothers Gonna Work It Out”, never what I would have considered falling-asleep music! I woke up for real and immediately thought of Eno lying in his sickbed listening to barely audible harp music, or Satie and his furniture music. Connections I never would have made (and perhaps I never would have even had the dream at all) before reading your excellent work. Thanks for that. i’d like to invite you for a master class and a live performance in rio de janeiro, brazil. could you please give me your contact? I have no experiential knowledge of what it was like to walk, sit, or stroll through Taksim Gezi Park, but I assume that, like any piece of land separated from the drudge of city life, there can exist a sonic state that is truly substantial, as both you and Chris Watson point out in that same section. I thought I would bring this quote to your attention because of its poignance, and because the movement in Turkey may be just another proof of the importance in investigating the effect of sound on the modern being. Your work has been a great guide to understanding what I once thought was ineffable. I am a doctorate student in Brasil. If it is possible, I would like to talk about the research in soundscape with you. Were you in Rio last week Claudia, when I was there? If you’d like to give me your email address I can contact you. I’m sorry but I haven’t been in touch with Patricia for many years so I don’t know her current contact details. Hello. I am a deep listener of your music for twenty years in Japan. “Screen Ceremonies” and “Danger In Paradise” catch my ears for so long time, and I love your works very much. And I read your books and am very impressed by your ideas (but my English is too poor to understand all). Hearing your music, searching your musical career, I want to know about more and more. I publish a book about Polish movie director Jerzy Skolimowski in 2010, as the result of research of his movies and his career. 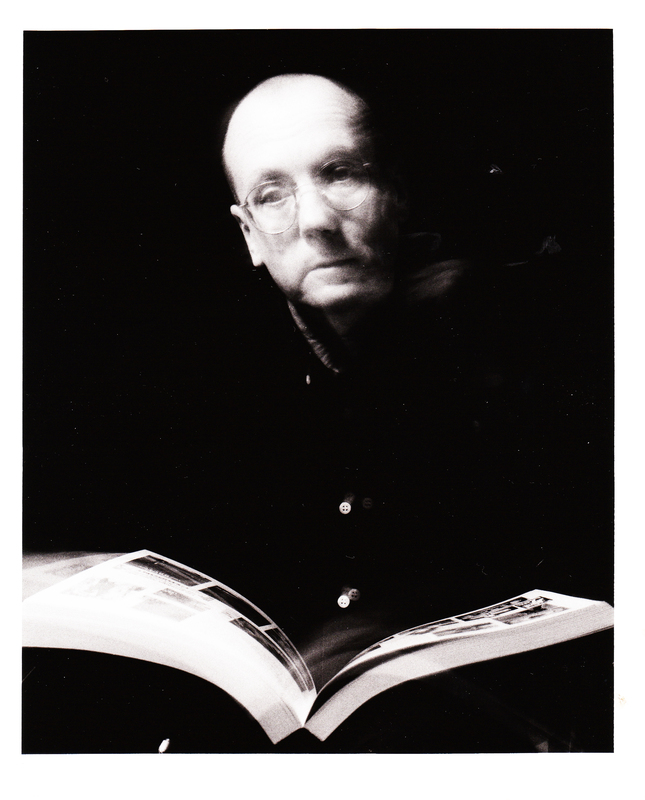 And for long time, I want to make a book of David Toop. About his career, his projects and many colorful albums. I think many people want to know your footsteps, because to know you is to see the maps of experimental music, ambient and techno. You write many texts about music, but I can’t find texts of your own works so much. Please let me do you some mail interviews about your memories, your music, and your musical partners(Steve Beresford, David Cunningham and Derek Baily). It may be full of legend for us music lovers. If you have some idea of making your book, please give me a reply. I have to admit right away I’m new to your work. Your album “Doll Creature” with Max Eastley is on heavy rotation for me right now. I love the work. I’ve also been reading your blog and it’s fascinating. I’ve followed up on quite a few of its references and you have a delightful sensibility. Thought I’d reach out to you. I work with the Metabolic Studio Sonic Division. Last month I saw you at Cafe Oto playing some records you selected and I spoke to you briefly after your talk at the OCR conference at Goldsmiths. I was pretty jet lagged and sleep deprived so I gave an extremely poor and rushed explanation of our work out here in California. I’m pretty sure I was mostly incomprehensible. I’d love the opportunity to send a more thought out email to what we are doing in a less public forum. We are interested in reaching out to the wider community of artists who work with sound to get their opinion. I think its really a quite fun and fairly accessible sound work. Its a durational piece, so if you don’t hear much at first (and if you don’t mind me being so bold to suggest) maybe leave it on in the background for a bit or try again later. Most of the time there’s quite a bit to listen to, but it’s still subject to the weather and general conditions on site. I was wondering if you could lend me some of your time to help point me in the right direction for some research. While I feel confident on the research I have done for many of the areas I shall talk about. There is a very speculative area I would like to address that I would like explore more. When does something become a musical instrument? I do realise that this can be a very speculative area, where there exists no clear boundaries. There is much scope I have gained through the works and writings of the Bachet Brothers from there own discovery of sound-scuplture and instrument design. I have also some insightful personal correspondence with instrument builder Bart Hopkin. What I have come to so far is ‘A pallet of sounds that exist within an explorable vessel. To promote listening and evoke emotional responses, consciously or unconsciously, through musically perceived sounds.’ but i would like to look for other opinions exploring this area. If there is anything you can point me towards? or have an any work exploring this yourself? I would love to hear it. Also what is the best possible way to contact Max Eastley to ask him about this about this subject? I am fond of his soundsculture/instrument explorations and have various references so far in my dissertation. His website doesn’t seem to have a clear way to contact him. Hope you are enjoying yourself in the holiday season. Thanks for this Chase. I like your question: when does something become a musical instrument? There’s an essay I wrote for the catalogue of Fondazione Prada’s Art Or Sound exhibition which might be helpful. It’s an area I’ve been exploring in lectures and seminars over the past few years. If you’d like to send me your email I can put you in touch with Max and also say a bit more about both your question and the answer. Cheers for that David, I shall search for the essay now. I sent you a request for writing an article in our new book on global music some days ago. Not sure, if you received that message? We would feel honored hearing from you. See here for our online-magazine on local and global music and media culture: http://www.norient.com and here for our current exhibition project: http://seismographic-sounds.norient.com. You can reach me via this address: hannes@norient.com. Sorry not to reply sooner but life has been very busy. I very much appreciate your invitation but unfortunately I’m not in a position to write anything. I’m just finishing the first volume of a new book on improvisation, then I have another book to write before beginning the second volume, plus I have a lot of university responsibilities, performing, etc. I wonder if you can help me – a Russian friend recommended a book of yours, but only knows the Russian title is something like “The Art of Sound”. Which book does he mean, I wonder? Obviously, it’s a little easier for me to read in my native language than in a Russian translation! I imagine it’s Ocean of Sound. I was in Moscow in the summer and people had Russian translations of Ocean of Sound. Seems like the best bet. We are a publication about art, culture, design, communication, image, music… And we’d love to interview you if it’s possible (maybe via email or Skype or… we will work it out if you agree). We absolutely love your work. I’m not sure if this is a proper channel but… I have to try. Thank you – will email you. As a fan of your work, I am reaching out to you to see if you would be interested in reading through an excerpt of my forthcoming book with Zero Books entitled “Babbling Corpse: Vaporwave and the Commodification of Ghosts.” I’ve been working on it now for about a year, and much of it was inspired by your writings on phantom sound. I’m unsure as to how to properly ask this but if you like it, would you be willing to provide an endorsement for the back cover? I know you are busy, and I understand if you are unable to do so. I value your opinion, so any words of advice at all about the book would be greatly appreciated. I’d be happy to have a look – thank you for asking. I’ll email you. I’m undertaking some research for Sound and Music / The Google Cultural Institute on British composers who build/built their own instruments. I’m interested to have a read of your 1975 book New/Rediscovered Musical Instruments but I can’t find it anywhere! Would you by any chance know where I might be able to locate a copy? my name is Nicolás Carrasco, I’m a musician and translator from Santiago, Chile. I’m interested in doing a translation of your book Haunted Weather to spanish. In coming months there will be an application time for grants to make translations of foreing books to be published in Chile, so I need to know if you know if there’s a current translation of that work to spanish (after the publication of Sinister Resonance in Caja Negra), and if I need to buy the translation rights from Serpent’s Tail or just have your approval to do the work. Thank you for your message. I’d be very happy to see a Spanish translation of Haunted Weather. Caja Negra are now doing a Spanish translation of Ocean of Sound (worldwide), so you would need to contact either Serpent’s Tail/Profile or the Spanish sub-agent, Andrew Nurnberg Associates at 20-23 Greville Street, London, EC1N 8SS. Thank you for your enthusiasm, best wishes, David. thanks a lot. best, N.
I decided to listen to Flying Lizards’ cover of’ Money’ on Youtube this morning, then I checked Wiki, and was surprised to discover you and Vivienne Goldman were members of the group. Though I bought the single when it first came out, I don’t recall you were a member of this “chart-bursting” avant-garde group. I know you more for your Rap Attack books – I think I slipped a piece on it in Billboard magazine, and in those pre-internet and CD days, I seem to recall receiving a tape of your collaborative work with an African musician. Sorry I use this blog entry to contact you, thanks for reading! Thanks for your invitation. I’d love to come to Cambodia and take part in your festival but unfortunately it’s a bit too short notice. I’ll already be away at that time. Please invite me again if you do another event – maybe we can work out a way for me to do it. awesome set at the Oto w/TM and TD! Where is the common ground between ‘sound art’ and contemporary popular/classical music? I am using your practice to enable me answer the question and I was just wondering if I could get your opinion on the topic? Sorry to contact you through this entry. We are two visual and dance artists working in a project commissioned by the Contemporary Art Museum of La Coruña, Spain. We would really like to invite you to write a text for the catalog of the exhibition (of course it would be a remunerated collaboration). Please contact me by mail so we can give you more details and start a conversation. Dear David, I met you in 2000 London at Sonic Boom. I was there with my colleague Anthony Moore (he is playing now at meakusma too). I did a sound art projekt “Klangraum-Raumklang” in 2004 in Cologne and I’m one of the few professors for sound art in Germany at Mainz University. From October 2017 on I’ll be awarded with a five years fellowship in “sound art – sound research”. I look forward to meeting you again, this time in Eupen.